Fun Faith continues to develop; we start and finish in Church with everyone each week, and we are continuing to evolve this to provide a stronger link as we continue to develop into a coherent Family in the church. Our Fun Faith leaders are all parents experienced in caring for children and are all CRB checked. Our children are an integral part of the church family here in Broomfield and we need to both encourage them into Church and nurture them whilst they are there. It is important for us to encourage them onto other groups within Church once they decide to leave Fun Faith, as well as giving them a solid foundation of Christian teaching that will serve them until they are ready to progress to confirmation. We continue in updating our songs as well as making use of ‘old faithful’ songs, some are funky and fun but with a biblical message that shouts and reinforces Christian values and God’s teachings. This has been great with the introduction of the Crèche, as we (leaders) jump about waving our arms in the air or doing monkey impressions, the children think we have ‘lost the plot’ but enjoy joining in! Our teaching material follows the Church lectionary so regardless of whether in Church or Fun Faith the message and reading will be the same, although we’ve had a couple of hic-cups on this! Our weekly plan is singing, with or without actions, prayers, which the older children lead, the story, then sometimes a game or activity which reflects the story, then either a craft, fun worksheet/task or again something that reinforces the message of the story. Children learn in a variety of ways and no two are the same, so it is vital that we use as many different methods as possible to help them understand the Bible message being told. Since the addition of the Crèche it’s lovely when some of the older Crèche children want to join in with the Fun Faither’s with activity or craft things, they learn by copying and it’s nice to see the older children helping them. We can follow Jesus – follow his example! We have a steady group of children and leaders who join us on a weekly basis so each week is a bit different and we’re hoping that as we continue to evolve we will meet the needs of the families in our Church and community, along with the other Children's Groups within Church both in Fun and Faith. Music is a vital part of worship and our church choir is proud to contribute to services by singing every Sunday morning, at special services, major Christian festivals and for weddings. We are an enthusiastic group of singers who meet together every Friday evening between 7.30 and 8.30p. in St Leonard’s Hall. Rehearsals are always fun and lively and have a real sense of fellowship and community. We may arrive having had a tiring week at work, but music has the power to put everyone in a good mood, so we leave with a sense of achievement and lots of laughter in our hearts. The choir has at least three rehearsals a month and always prepares for the forthcoming morning service as well as on pieces for singing during communion. At Easter, Harvest and Christmas we work on anthems and have a wide repertoire to suit all tastes. Most of the hymn singing is done in four-part harmony but anthems in unison, two and three parts are the norm. You don’t have to be an experienced singer to join us. All are welcome to our rehearsals and reading music is not a requirement. Just a love of singing and a desire to sing together is all you need. So why not come along and find out more about the work we do? Contact Jill Parkin at jillparkin58@talktalk.net for more information. St Mary with St Leonard’s Church has the services of two organists. The PCC recently appointed Jill Parkin as Director of Music. Jill leads the choir as well as shares organ playing with Jane Mitchell. The organ in our beautiful parish church is a fine two manual Norman and Beard instrument which dates from 1926. There is a ring of 6 bells in our Tower and St Mary’s campanologists ring out regularly for the 10.30 Sunday morning service and for weddings as required. The Bells are rung half muffled for the Remembrance Sunday service each year. We hold a practice and training evening on Wednesdays and currently have one new ringer under training. On the first Wednesday of each month we practice at Little Waltham Church and ring there occasionally for weddings. More ringers are required to ensure that the bells of St. Mary’s continue to ring out in the future. If you are interested in learning to ring, or just having a pull of the Sally, speak to us on Sunday (when we stop for a rest) or come over on Wednesday evening between 7.45 and 9pm. You will be very welcome. Many of our ringers are members of the Essex Association of Change Ringers. This provides us with a source of technical expertise on Bell maintenance matters, training assistance and insurance. For further information please contact our Tower Captain, Chris Marcus, by email at broomfield@eacr.org.uk or by telephone 07730 796422. The Tower was added to the Church in the early 12c and is one of six circular or round Towers in Essex. The others are at Great Leighs, Lamarsh, Pentlow, Little Sailing and South Ockendon. The Tower is 15ft. Diameter and 2 storeys high. It has a conical roof rising to an octagonal spire. The Tower arch into the Church has a semi-circular head and plain responds which are much restored. On the ground floor are three round headed windows with jambs and head of roman brick. The upper storey has similar windows but these have been repaired with 17c bricks. The spire has four gabled lights. The spire was once roofed with weather boarding but was reroofed in October 1937 with Canadian Cedar shingles. This work was carried out at the expense of Mrs Seabrook and family in memory of H M P Seabrook of Butlers who was at one time a Churchwarden. It was reroofed again in the early 1950s. There is a record of bells from as early as 1482, but the present peal of six was cast by John Warner & Sons, London in 1874-1875. The peal is made up of four bells presented by Mr H.C.Wells (Churchwarden 1864-1908) and two old bells that were re-cast at the same time, John Dier’s bell of 1580 and that of Miles Graye, 1613. John Dier seems to have been an itinerant bell founder but Miles Graye made his bells in a foundry at Colchester. The bells were rehung in 1911/12 having been taken down “some time since on account of the Tower being cracked”. A special service of dedication was held on Friday evening 17 November 1911 for the rededication of the Bells. The Vicar, Rev. Charles Edmund preached the sermon and gave dedicatory prayers after which a short peal was rung by the Bell ringers. The bells are still rung regularly. The bell frame was reset in the Tower walls and strengthened in 1989/90 after it was discovered that the wall bearings were becoming loose allowing the frame to distort when ringing. The frame was strengthened and the bearings repaired, and the Ringers, helped by other Church members and the local Scout Group, painted the frame and the timber work early in 1991. New bell ropes were acquired in 1993 with the help of the fund set up in memory of Flt Lt Stan Bowles who was killed in an RAF Tornado in the North Sea off Hull in August 1990. He was the son-in-law of Reg Morris, a Parochial Reader at the Church. The ropes were manufactured by John Pritchards of Loughborough and are 60ft long made of pre-stretched terylene with natural flax yarn bottom ends with wool sallies. The first service with the new ropes was on the morning of 30 January 1994. During the service the Vicar, Rev. David Ritson, dedicated the ropes and the ringers responded with a short ring of several rounds. Ringers present were Peter Baker, Ian Hughes, Joy Ely, Andrew Mussell, Brian Warboys and Chris and David Marcus. The dedication coincided with the January Fifth Sunday special service which looked back to 30 January 1649 when King Charles 1 was executed. Members of the Sealed Knot Society attended the service and an excellent cameo sketch was enacted by Mavis Tebby, Cyril Howard, Eric Rowley and the Vicar. New Muffles for the bells were purchased in December 1994 with assistance from the same fund. In November 2009 the clapper bearings on Bells 1 to 4 were found to have disintegrated. The clappers were removed and taken to the Whitechapel Bell Foundry for repair. The four clapper balls were well flatted and were therefore heated and twisted upon their stems to present unworn sections to impact the bells. The bearing pear shaped tops were filled with resin in to which was fitted a Tufnol bearing sized to suit the existing hinge pin. The repaired clappers and staples were re-installed in the Tower in time for the Christmas ringing. In the tower is the only true fresco in an English church. Christ stilling the Storm was painted by Rosemary Rutherford, artist daughter of the then Vicar, in 1943 when on leave from war service. Her brother helped mix the fresh plaster and traditional techniques were followed as far as possible. The fresco has been restored and can be viewed on request. We are a nine strong band who gather together at 9am every Tuesday morning. Our role is the maintenance of the churchyard by cutting grass, clearing drains, tidying graves and flower beds, trimming bushes and trees and general clearing up but also any other tasks which may be required. The maintenance regime in the Churchyard is geared towards conservation and we have drawn up a management plan in association with the Essex Wildlife Trust. We are a sociable group and welcome anyone who would like to join us. We have a small group of people who play the hand bells. Although we do not meet regularly at the moment, if you would like to find out more about learning to play the hand bells please do get in touch. We sometimes have engagements before Christmas at local care homes—Manor Lodge, Madelayne Court, Ayletts and The Grange, where we are able to bring a little Christmas spirit to the residents who join in singing some of the carols. It would, however, be so good to have some new blood – we desperately need more ringers. If one of us is ill, or away, or otherwise engaged we cannot perform adequately. As long as you can count, enjoy a laugh, and a chat you will be VERY WELCOME. This small but very committed group continues to meet in the church hall on Monday afternoons, other than on “film club” weeks. In the anniversary year of the King James Bible we undertook to begin the E100 project: this involves reading and discussing the “Essential 100” pieces of scripture from the Bible. Our hope was to better understand the whole salvation narrative, from creation to new creation, rather than seeing the Bible as a series of loosely linked stories. Our progress has been slow but steady and we have viewed this as a three year project, as we meet three times a month in academic term time only. Nevertheless we have found studying scripture together in a structured and quite detailed way has been very fruitful and we do hope to persist! Our fellowship and prayer together remains a really important part of our meeting time: we would be delighted to have new faces with us on an occasional or regular basis. Members for the Wednesday Bible Study Group have risen in the last year. We have regular attendance from eleven members of St Mary’s, one from Christ Church and three Methodists. We have met regularly at the home of Phyllis Harper, but sadly, due to Phyllis’s death in February we have reached the end of an era. At times, there have been 14 of us crammed into Phyllis front room, which her family found hard to believe. Phyllis always looked forward to Wednesday as she felt she remained very much at the centre of the church activities by being our host. We shall miss her greatly. However, Ros Smith has kindly offered her house as a meeting place for us now, so we have only moved five doors down Hearsall Avenue. We all value our time of prayer and bible study together. At Advent and Lent we follow a suitable course for the group and Mavis and I share the leadership. The rest of the year, we try to provide interesting material which includes bible study and inspires and promotes discussion. Prayer is very much part of shared ministry and something in which we can all participate. The Rev. David Ritson was the founder of our present Prayer Group which has been meeting regularly over many years since he gathered a few Church Members together for this specific purpose. The pattern has slightly changed under Carolyn's ministry as most of us prefer an evening meeting, and as our Vicar says the Daily Office in church, Carolyn always brings before God those in need of urgent prayer on a daily basis. Part of the Group's responsibility is to feed her with any information of which she may not be aware. As every Member of the congregation knows, prayer is regularly said for those whose names are in the Altar Book or on the Prayer Board, and sometimes the board is overflowing with requests. The Intercessions Group review those needs on a regular basis. Some of the requests remain, but if a situation changes the cards are removed. How we long to receive updates from those who ask for prayer, as we are reluctant to remove any requests ourselves, but it is necessary to do so. If you are viewing the Prayer Board and a particular request touches your heart, please add the need to your own private prayers. A crèche is run during Sunday morning worship (10.30am) on 2nd, 3rd and 4th Sundays. Our Crèche leaders are all parents experienced in caring for children and are all CRB checked. We start and finish in Church with everyone each week, and we are continuing to evolve this to provide a stronger link as we continue to develop into a coherent Family in the church. The crèche runs alongside Fun Faith in St. Leonard’s Hall, and parents are encouraged to remain in the crèche with their babies and toddlers until they are settled. If you feel you can leave your children in the crèche and return to the church service, please rest assured that if your little one becomes unsettled one of the leaders will come into church to find you. Edward Bear is a friendly group for pre-school children and their parents/carers. We meet on alternate Tuesdays during term time in St Leonards Hall. The sessions consist of prayers, songs, stories, puppets and crafts all with the aim of teaching bible stories to young children in an accessible and engaging way. Afterwards we have coffee and biscuits and the adults have a chance to chat whilst the children play with toys. A group for parents and those who care for small children to meet for mutual Christian support whilst the children play. An opportunity to explore more about what it means to be a Christian woman today, to pray for our children and for ourselves, and engage with what the Bible has to say about the things which are important to women caring for children. The group meet on alternate Tuesdays during term time from 10am for an hour. Dates can be found on our calendar. A traditional parent and toddler group, where those who care for pre-school children are welcome to meet for fellowship, refreshments and a safe place for the children to play. 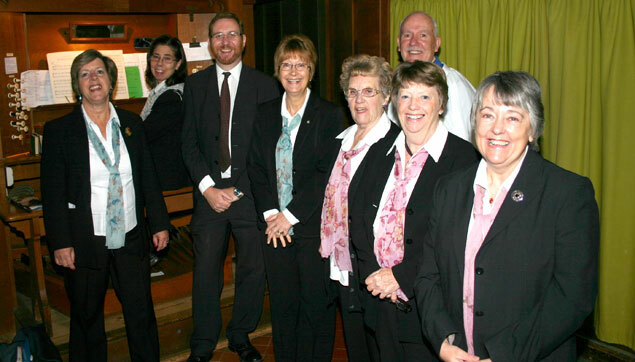 All of our helpers are CRB checked and regular members of our church congregation. The group meet in St. Leonard’s hall on Thursdays in term time from 10am till 12noon. For more information please contact Margaret Deacon on 01245 443905 or just turn up. You will be most welcome. Our puppet ministry was set up to provide a new and fun way to engage adults and children alike in worship. We currently have 7 rod-arm puppets and 7 members and are looking to expand both. Anyone is welcome to join from the age of 13 upwards. We perform approximately once a month during services at St Mary’s Church we have also performed at fetes and we are currently rehearsing for the Broomfield Jubilee Celebrations on 2nd June. All our members get involved in prop making, choreography, musical ideas as well as the puppetry. The Puppet Crew meet every Wednesday evening during term time from 7.30pm to 9.30pm in St Leonards Hall. For further information please contact Louise Baines on 01245 443295. Our membership is increasing and our meetings are very well attended, including visitors at some meetings and everyone is welcome to attend. Our group meets at 7.30pm in St. Leonard’s Hall usually the third or fourth Thursday in the month and continues to be run by an organising committee. We support the Church by having a stall at the Autumn Fair, and by providing refreshments on Maundy Thursday and on other Church occasions. Birthday cards are sent to all 2 & 3 year old children Baptised at St. Mary and St. Leonard Church, inviting them to attend Fun Faith. Our meetings are varied with speakers on topical issues, some of a charitable or spiritual nature, and some meetings are light hearted, and member led. A donation is given to the speaker for their charity or a charity of their choice. Details of our meetings are published on the calendar. We are a small band of people who gather together every Tuesday morning. We have a core team of five who attend most weeks and other people who attend when they can. We work with the community service people to maintain the churchyard by cutting grass, clearing drains, tidying graves and general clearing up. We are a social group and welcome anyone who would like to join us. Film club has thrived in the last year: attendances regularly top 20 and new people come along almost every month. This is a real opportunity to welcome members of our community into our church building to enjoy a film and a chat. We have watched a variety of films: from the gently entertaining to the emotionally demanding and disturbing. Every film has offered us an opportunity to reflect theologically on its content and its message. By doing so together, this enables each of us to begin to see the world and all its delights and pain through Christ like eyes, and to “be church” together on week days as well as on Sundays. The terms of our viewing licence mean we cannot advertise our film club outside our church community: this should, of course, be regarded as an opportunity and not a restriction. Invite a friend along! Details are published on the calendar. The pastoral team have continued to visit those who cannot attend church and taking Holy Communion to them where requested. At Madelayne Court we offer monthly services. At The Grange we offer a monthly Communion service. At Ayletts Holy Communion is given once a month. This year has also seen one of the members of the team being officially anointed and commissioned for her work with the bereaved and this is a much welcomed addition to the pastoral care undertaken at St Mary�s. If you are unable to get along to church due to ill health and would like the Eucharist brought to you at home or in hospital please do contact the Vicar who can arrange for someone to bring it to you.